Nalia's World: Is My Book For You? If you find yourself wondering if Nalia is the sort of book for you then this post will help you. 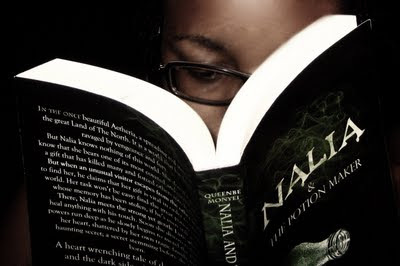 If after reading this you feel this may be you then Nalia may be the book you have been waiting for. My books are for people who enjoy wild imagination and fantasy. This isn't to say that if you don't like fantasy you won't like this book as there are a lot of themes that ring true for whatever genre. There isn't just one category for themes of love, bravery, death, betrayal and self discovery. It is something that is true for all people and is part of the human existence. Although you may wish for more aspects of love in your life than betrayal or may have experienced one more than the other, the truth is you understand them both and you can relate to them both. You like to be taken to a world that is both beautiful and dangerous. You are lovers of romance and you love the idea of a love that can freeze time. A love that will fight to the death and protect above all else. You don’t mind a character with flaws as long as you get to see them grow and overcome them. This helps you believe that you can overcome your fears and flaws as well. You love the classic tale of good triumphing over evil. You want to believe that you can triumph over the evils in you own life (whatever they may be)—and trust me, you can. You want something to believe in, a cause to fight for—something that makes the world feel worth while or even for a moment seem like a better place. You want to believe that somewhere, deep down there is good in this world. Who knows, you may end up seeing yourself in these pages. I sure did.